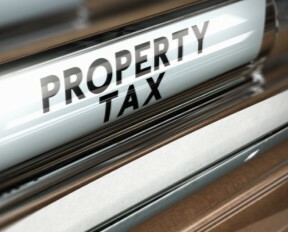 LOS ANGELES – Backers of a proposed initiative that could dramatically increase taxes on commercial and industrial properties by undoing some protections imposed by 1978’s Proposition 13 submitting thousands of petition signatures Tuesday in hopes of getting the issue before voters in 2020. 8 comments for "Coalition submits signatures for proposed tax initiative"
No on higher taxes the young people have high enough rents.Besides we are taxed enough. Leave us alone. Quit taking more and more. My daughter a single mom raising her daughter at private school. Owns her house Don’t tax her house, and my son sharing apt as renting is high. Stop the madness.most 20-35 yr olds still live at home as they can’t afford to be on their own. Help us vote no! ..if there is an cubicle in Sacramento filled with State employees, whose sole job is to invent new taxes, fees, funds, bonds,etc., etc.. Folks, the funds will come from taxpayers and consumers, as always. Restore funding to schools and services? The state budget is as large as it has ever been. There is a $10 billion surplus. There is NO revenue problem in state finances. These groups just want to grab more money by soaking businesses. It’s about time that we realize that businesses are part of our community, too. Rather arbitrarily low number to choose. 50K is not much. It is a strain to raise two children on 50k a year. A single family income of 50k with two adults and two children would be about at the poverty level in this grand state. Aim much higher, for this state. everyday tax payers will pay. Not just bilionairs but people already affected by the energy, water, Gasoline, taxes high rent and this upcoming 25% tax on imports that will either purge small business down to non existance or hike costs even more forcing middle class into poverty and everyone bellow that into wellfare!!! Id reather earn a living than be limited in my own abilities to provide safety and decent home for my children. California liberals want a war! !